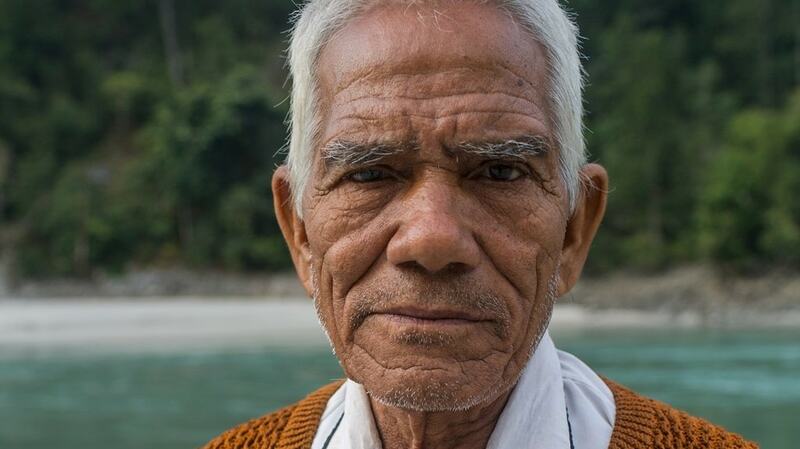 This is the second in a five-part series on the Karnali River. Read part one here, and an overview of the whole trip here. People living at the dam site in Balde about 30 kilometres downstream said that the company is only paying compensation to influential and politically powerful people. Frustrated by the lack of progress in India, last year the company signed a memorandum of understanding with Bangladesh, which could buy the electricity. Later in August this year, Nepal signed a cooperation agreement with Bangladesh aimed to facilitate trade between the two countries. Some speculate that this move to ease the trade of electricity was only to help the Indian company GMR to secure finance for the Karnali dam. Nevertheless, the amendment is also good news for Chinese and other companies who have been eyeing bigger projects in Nepal. “There are technical difficulties and we will unlock them, but it’s certainly a good move,” said Barshaman Pun, Nepal’s water resources minister during a recent press meeting. 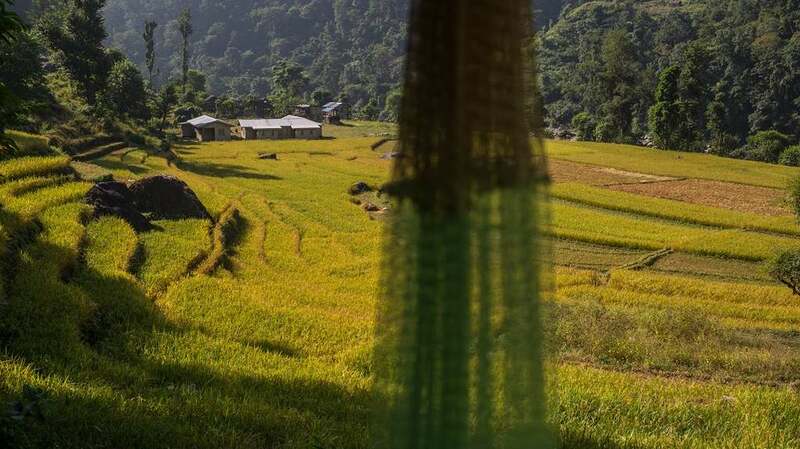 Nepal’s move towards big dams has come at a time when scientists warn that more extreme weather events like floods and landslides will increase in already fragile mountain regions. These warnings have been largely ignored in Nepal. In next few months, Nepal’s largest hydropower dam so far, the 456 MW Upper Tamakoshi will be completed in eastern Nepal, whereas another 900 MW Arun III (in the east) and 900 MW Upper Karnali (in the west) are in the offing. But, there is little consideration of the impacts of climate change on Nepal’s hydropower sector. “The changing probabilities and magnitudes of extreme events can place additional risk on power generation infrastructure (dams and hydropower plants) as well as secondary infrastructure (roads and transmission lines). Further, hazards associated with shrinking glaciers, such as glacial lake outburst floods, can jeopardise large infrastructure investment,” the report stated. Other studies have quantified glacier melt in Nepal, including a 2014 study that revealed Nepal’s glaciers have shrunk by 24 percent and its ice reserves by 29 percent over the past three decades. However, developers say that current knowledge about the impacts of climate change on hydropower is inadequate and this hinders better planning. While reports say that hydropower projects will be affected they lack the details as to what degree, and what precisely to take into consideration, said Kumar Pandey, vice-president of the Independent Power Producers Association Nepal (IPPAN) — the national agency of private hydro investors. “Investors need accurate information with evidence at microscale so that they can use it while developing the project,” added Pandey. This may be an unrealistic expectation. “Climate science is complex, however, there are clear indications that large infrastructures will be impacted if current changes in temperature and precipitation in the region is not taken into account,” said Ajaya Dixit, executive director at ISET-Nepal. It’s not only climate change, but seismologists are also warning that western Nepal is waiting for another big earthquake after the 2015 earthquake that killed more than 10,000 people. “There are two dangers lurking beneath the Himalaya: one is the unfinished business of 2015, and the other is a looming mega quake in western Nepal,” reported Nepali Times recently. Large hydroprojects like the Upper Karnali would be impacted if it happens but these issues are ignored in a hydro sector dominated by politics. However, scientists and activists say current hydropower development in the country is haphazard and poorly planned, threatening river ecosystems and destroying river-based tourism. Megh Ale—the team leader of our scientific expedition — believes the main stream of the Karnali should be left free-flowing, “We can bring millions of tourists here while other tributaries could be used for electricity,” he said. 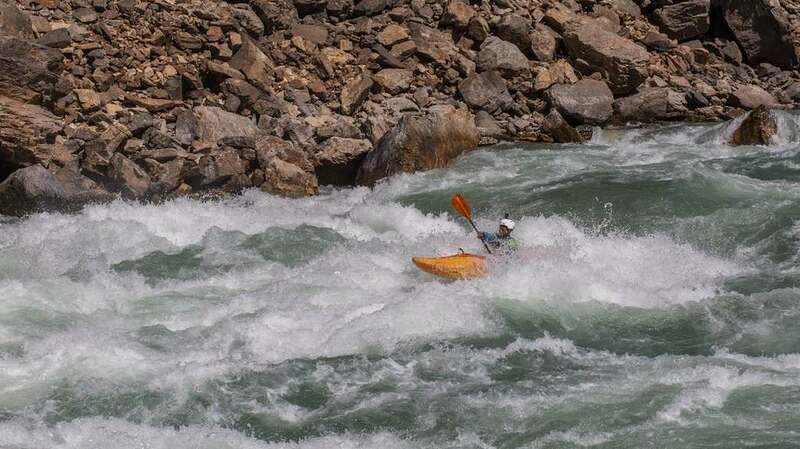 The Karnali is a world-class river for white water rafting. Megh Ale, President, Nepal River Conservation Trust from thethirdpole on Vimeo. Nepal’s hydropower policy has a mandatory provision for developers to maintain 10 percent flow of water downstream around the year, but this has not been implemented and monitored. “I have been to several rivers during my field studies and have found that these provisions haven’t been implemented except in a few cases. In addition, hydropower projects could be constructed in more environment-friendly ways by investing in fish ladders but these aren’t obligatory measures in the policies,” said Shah. Mahendra Bahadur Shahi, Chief Minister, Karnali province from thethirdpole on Vimeo. It is common practice for companies to hold licences for years and then sell them to another company. Late last year, GMR (the same company that holds the licence for Upper Karnali) pulled out of the 600 MW Upper Marsyangdi project in north-central Nepal after holding the licence for years. A consortium of Nepali and Chinese investors bought shares from GMR just as work was due to start. The parliamentary committee of Nepal has formed a probe committee to investigate further. China is becoming a new but important player in Nepal’s tense energy politics, dominated by India for decades. The past few years have been tumultuous in the realm of Nepal-China energy cooperation as the two biggest projects in pipeline – the USD 2.5 billion Budhigandaki and the USD 1.8 billion West Seti – were surrounded by controversy. 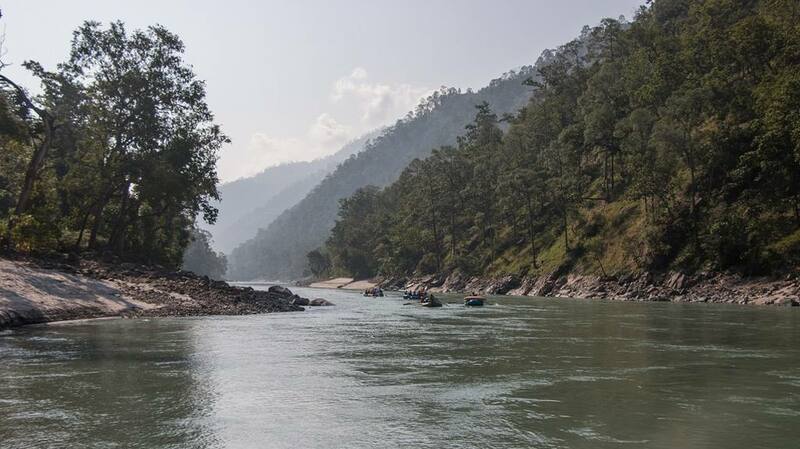 The Third Pole is a multilingual platform dedicated to promoting information and discussion about the Himalayan watershed and the rivers that originate there. This report was originally published on thethirdpole.net and has been reproduced here with permission.